Thunder Road's rhythm guitarist said that lead singer Nicky Rich looks like a young version of The Boss. We're reserving judgment. It's been 20 years since Bruce Springsteen and the E Street Band played in San Diego. That’s a huge shame, according to Robert Hughes, co-owner of local independent radio station KPRI (102.1 FM). 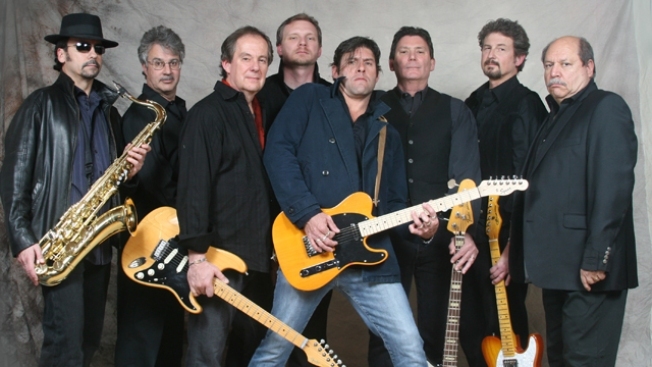 But Bruce aficionados, take heed: the tribute band Thunder Road is playing downtown at the Anthology supper club this weekend. The band just happens to include Hughes on rhythm guitar. The Anthology shows (June 13 at 7 p.m. and 9:30 p.m.) will feature Thunder Road playing “faithful renditions of his songs, played to the best of our abilities,” Hughes said, adding that leather-clad lead singer Nicky Rich looks like a young version of The Boss. Thunder Road has a number of players from Hughes’ other classic rock band, Shock Waves (formerly known as Left for Dead). He jokes that that band changed names at the urging of NBC 7/39 anchor Marty Levin’s wife, Gail. For Anthology ticket information, call 619-595-0300.